Universal Sport shift cable kits include everything you need to replace the front and rear derailleur cables and housing on a bike. Speed-Lube ultra slick lubricant protects cable to ensure consistent performance. Slick stainless cables are double-ended Campy & Shimano/SRAM. End Type: Campy. End Type: Shimano/SRAM. Housing Diameter: 4. 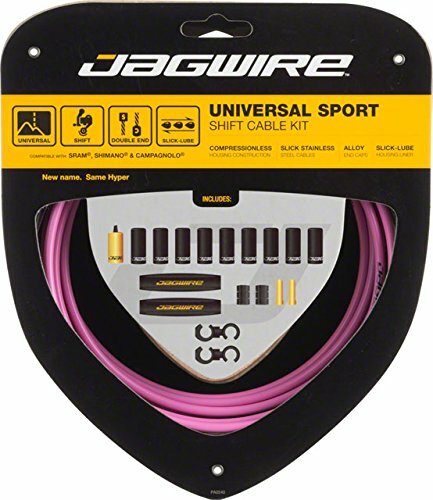 Universal Sport shift cable kits include everything you need to replace the front and rear derailleur cables and housing on a bike.